The Whitaker Center for Science and the Arts located in Harrisburg is a center for arts, education, and cultural enrichment. 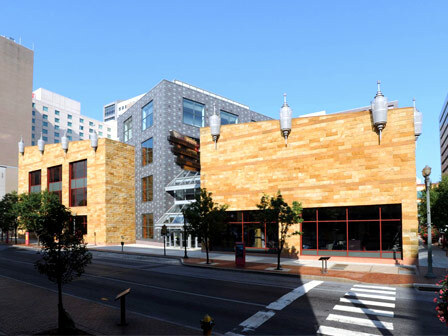 The learning and entertainment complex features three-floors of hands-on, interactive exhibits, and is composed of three main venues – Sunoco Performance Theater, Select Medical Digital Cinema, and Harsco Science Center. Visitors of all ages learn about the world around them through engaging performances, programs, and exhibits at the Center, including KidsPlace–a kid-sized cityscape just for children ages 5 and under–and Forces of Nature –an examination of how weather and geology affects the earth. Other activities offered at the Center include documentary viewings, live performances in the 600-seat theater, educational presentations, and art exhibitions.